I've wanted to visit the Long Island wine country for a while now, but wasn't old enough to rent a car for the longest time. 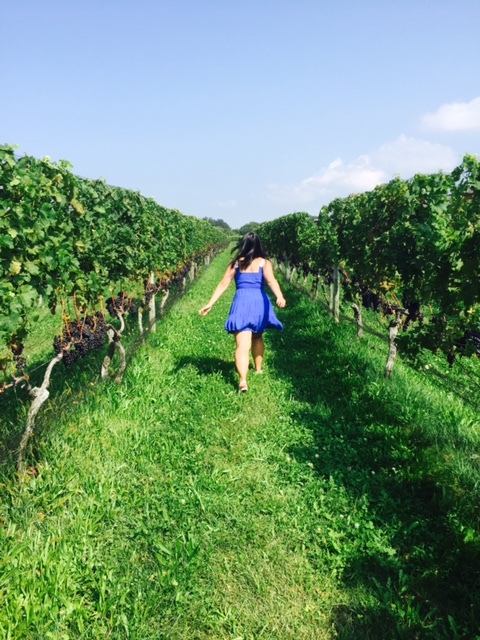 So the first thing I did once turning 25 was to book a trip with my friends to the North Fork region of Long Island for a winery adventure. I know there were several wine tour options where a giant bus brings you from winery to winery, but after much research we didn't feel like the nicer wineries were the ones that were being chosen for the tours so that's why we decided to go our own path. First up, we toured the beautiful and classy Macari Vineyard where we had the opportunity to taste a flight of 5 wines with their gorgeous grape vines in the backdrop. While I enjoyed the white wines immensely, I found the red wines to be a little too dry for my taste. Although in general, I usually prefer sweeter wines. Macari also had a food truck in the back serving savory looking pizza, but we were already full from brunch so... definitely saving this for next time! The 5 wine flight costed $20, although there were other options for $25, $30, and dessert wines. Our second winery for the day was the family friendly Baiting Hollows Farm Vineyard. In addition to creating wines, BHFV also rescues horses! A portion of its proceeds goes towards the caring of these horses, which is simply amazing. This winery allows you to choose the amount of wines you want to taste and allocates the cost accordingly. I chose to taste 3 wines, which ended up being $9. The Reisling 2014 was by far my favorite wine of the day and I even went home with a bottle. If you are looking for a peaceful wine setting, BHFV definitely isn't for you as there are kids running around, people dancing, and live music playing. The best part of having your own car is that you get to stop whenever wherever you feel like it. We passed by the cutest little sunflower farm and decided to jump out for some epic photos with giant sunflowers! Later, we also passed by what we thought to be a Christmas tree farm, but turned out to be just a garden nursery with trees meant for landscaping. Still, it was interesting to see and smell all the trees! One of the items on my East Coast bucket list has always been to do apple picking as that was something Texas never offered (probably because all the apples would die in the intense heat). Since we had some extra time, we decided to stop by Lewin Farms on our way home for some fruit picking (and eating). It was $8 to enter but the amount is credited towards the end cost of your picked apples. 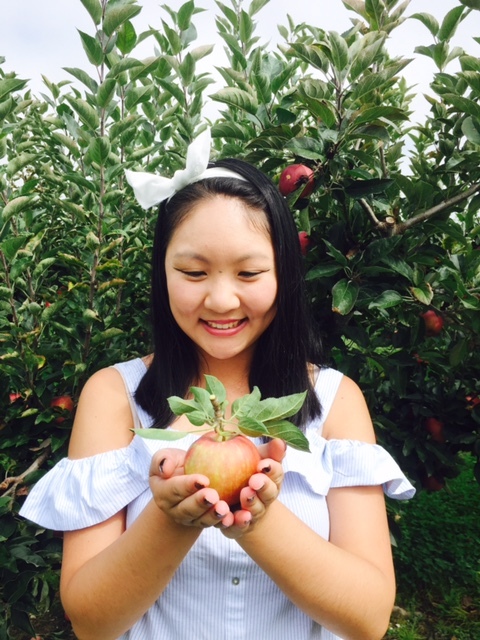 Picking the apples was an interesting experience and definitely made me appreciate Mother Nature and all the hard working farms that deliver fresh crispy apples to my neighborhood market. Which photo was your favorite? Have you done wine tasting in the Long Island area?